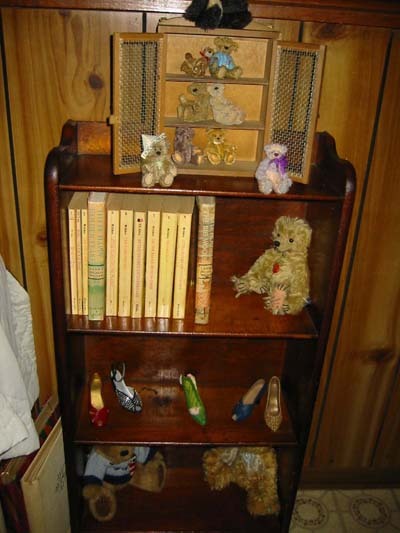 A huge part of collecting artist bears for me is the fun in changing my displays - and especially finding new ways to display my bears. 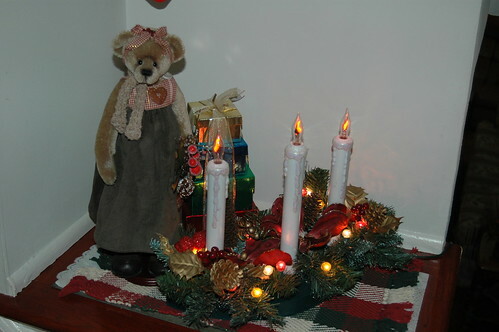 So off I went to my best friend Nancy's house.... She is the one who was responsible for bringing me into the world of teddy bear collecting for adults in general - and artist bears particularly. I've always LOVED how she's able to put together displays.... and make it look effortless! She has a wonderful talent for this. OK... let's get back to bears! 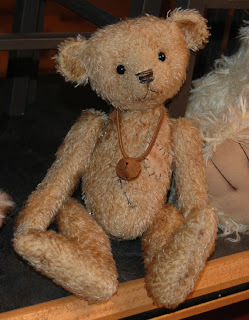 I really have been making bears.... they just have not made it to my site! 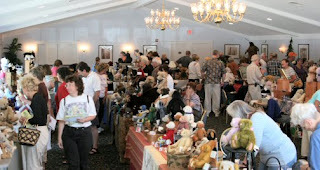 September 8th is the Teddy Bear Jubilee teddy bear show in Kansas City. I'm trying real hard to not have an empty looking table! 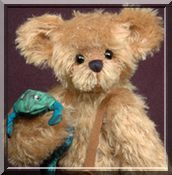 I did want to mention, though... that I have designed a new collection - the "Olde Friends Collection" Some of my first bears were old looking bears - and I wanted to start creating more of these bears again. Don't worry though...I'll still be creating my current style of bears too! 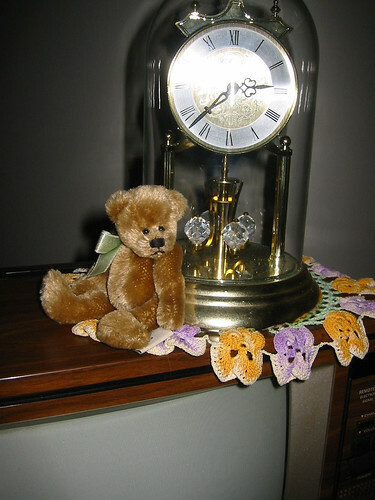 Here's a sneak peek of the first bear in the "Olde Friends Collection"
My husband has been on this list for AIM - a marketing company that has an office here in Chicago. He's been paid $100 and more for his opinion on trucks, cars and even video games. They finally called me and I got paid $100 for my opinion on washing machines! For these surveys, you have to go to a place - usually a hotel - where they have products set up in a room (or parking lot) and you stay for a couple of hours and then give your opinions. I found a few - most a did not like. One I DID like! I finally got my account up to $50 so I am eligible for a payout. They pay on the 1st and 15th of the month via Paypal. And then... it went dark! I'm so glad I made Candles!! I was working on bears for the Kansas City Teddy Bear Jubilee last night when all of a sudden - it went dark. We lost power. There were some tornadoes in the area too... fortunately no touch downs. But as we don't have a basement, I was huddled in the bathroom (middle of the house - no windows) with 4 nervous whippet dogs. The "funny" thing is that our power went out after the storm PASSED us. Bob works in the electrical industry - and so he figured that Com Ed may have taken us off the grid temporarily while they fixed someone who lost power because of the storm. Power was restored 30 minutes later - so I'm pretty sure that was the explanation. There's over 180,000 homes without power right now - so 30 minutes was not a problem! That event got me to thinking... 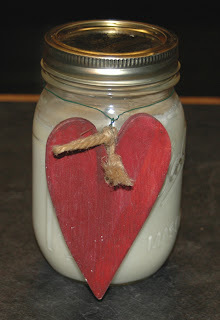 I know it's not teddy bear related - but most women love candles - and do you know I made these in my microwave? You cannot do that with most waxes.... but here and there I'll write some posts teaching you how you can make your own candles in your microwave - Stay Tuned! Marvellous Max in TBCI - is now on eBay! They have published a pattern I designed exclusively for their magazine - and I am thrilled! 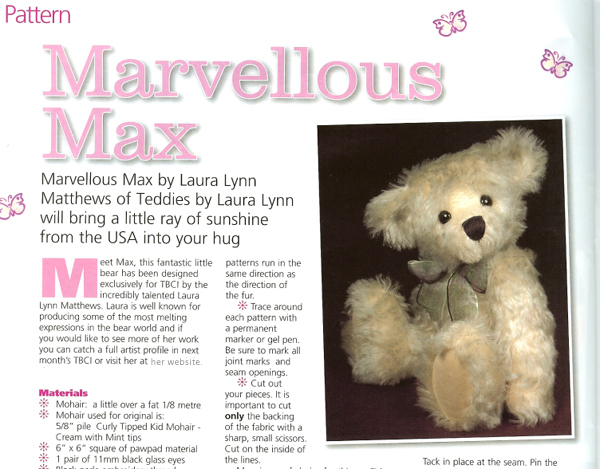 Marvellous Max - the original bear I created for the magazine, is now available on eBay here. This teddy magazine is a MONTHLY magazine! It is a little pricier than our US mags because you get more issues... and it comes from overseas...but it is awesome! They have another cool option - and that is the "I magazine". You can subscribe to view the magazine online instead for only about $20 per year. You can find subscription info here. 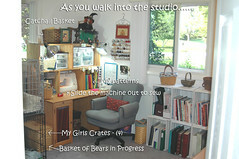 I was talking with my friend Daphne of Back Road Bears - about when we injure ourselves. As we packed up Daphne's truck to take me to the airport to come back home from The Maine Teddy Bear Show - I smashed my finger in the truck door - OUCH! Earlier this week, Daphne was using her rotary cutter and sliced her finger open - OUCH! On Sunday we had torrential rains and I was outside trying to fix the downspout on the outside of our house - and managed to rip open the skin that connects your thumb to the rest of you hand - OUCH! You know the first thing that jumps to both of our minds when these things happen.... not "ouch" - but - "Will this become a problem for me in making bears?" We DO have our priorities LOL!!! 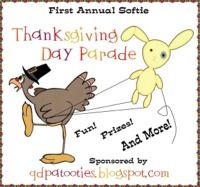 1st Annual Softie Thanksgiving Day Parade! My friend Lisa Thoms - Twin Cubs and QDPatooties - gets the most awesome ideas! She is hosting the First Annual Softie Thanksgiving Day Parade! As a kid, my Mom always had the Macy's Day Parade on TV while she cooked Thanksgiving Day dinner - and now I can't cook the turkey unless I have it on too! I have something very special in mind for this event.... it will be available for sale on the day of "The Parade" too! Click on the photo for more info about this fun event! I have a new pattern coming out soon. This one is being published in the British magazine: "Teddy Bear Club International" - and will be available exclusively thru them. I'll post a photo of him after the issue comes out! Click on the cover below to be taken to "TBCI's" subscription page. You can also order individual back issues there! Yes, the main organization is done! 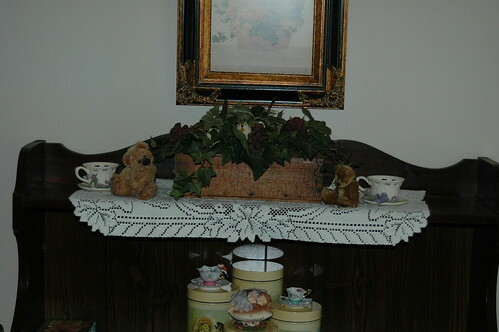 I want to finally make the valances for the windows and have hubby make some shelves and a small cabinet. But for the most part, it is done! I was going to get a shelving unit for the closet to store my boxes. But hubby convinced me to go with those wonderful clear plastic drawers. Hopefully will get that done this week! Last weekend in Maine was a blast! The Maine Teddy Bear Show was wonderful. I will post a review the show soon. I got home on Tuesday evening and have been trying to catch up since then. Laundry, groceries, and the bears of course! After I got home, my studio was a mess (as it often becomes while getting ready for a show) and after visiting my friend Daphne Blau and seeing HER studio, I had to reorganize my own. I have another show in 3 weeks that I need to prepare for, so I really should have delayed the studio organizing thing.... but when I'm happy with my studio, I work so much better!